We are volunteers providing a platform to the citizens of India in exercising their Right to Information. We are just mediators thus, we don't possess any information, and we simply file application on behalf of Indian citizens, in this way helping them to seek information withheld by the public authorities. This is our sincere effort towards bringing transparency and accountability in the functioning of the govt. offices and thus making India a corruption free nation. We generally see that public authorities have an inbuilt ego of not divulging any information to a common man for no reason whatsoever that is why we are determined to break that taboo and hence make everyone feel respected and build people's confidence in govt. and government officers as well. One thing I would like to make clear is that this is not the official website of Govt. of India, this is a private website operated by RTI experts for helping and educating common men, how to draft application for diverse matters like, Passport delays, Provident funds, Ration card, MANREGA, Income Tax returns and also for inspecting the works done by the Local government bodies for eradicating corruption. 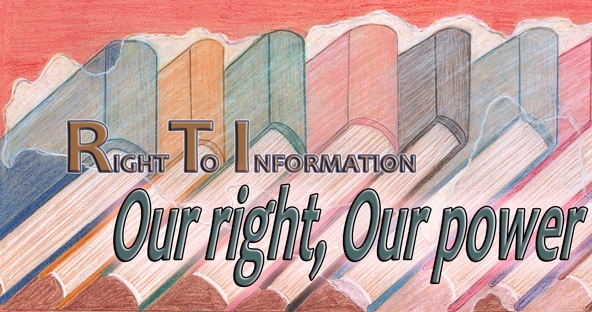 This is our website for filling right to information(Suchana ka adhikar) application, it is very convenient to use, and you need not to sign up nor you need to be a member of our organization for filing Right to Information Application. We are providing social service, working on meager amount needed for processing application. We ensure that your application reaches to the concerned Public authority on time so we use only Registered post, or speed post, and these charges are included in the RTI application fee, we collect from you.